Baking cookies is a fun way to spend an afternoon with the kids or your besties. Enjoying a baking day also adds to the sweet memories of holidays and other kinds of gatherings. 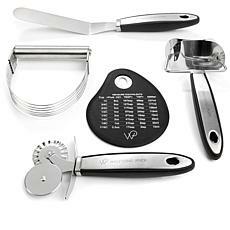 This collection of cookie cutters and cooking supplies delivers the tools you need to create shaped confections and prep them for decorating once they come out of the oven. 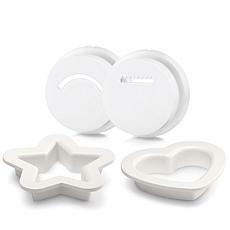 These offerings from HSN include items such as cookie sheets, scrapers, and decorating tools to make it easier for you to pick up everything you need to create memorable desserts. 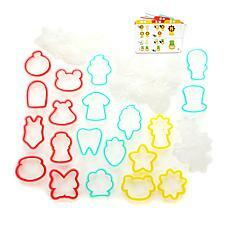 Trying to choose between cookie cutters that are perfect for a specific holiday or ones that adapt to any occasion? All-purpose cutters are ideal for events like baby showers and weddings or for dressing up the dessert table at your summer gatherings. Looking for a gift for newlyweds or a housewarming present? 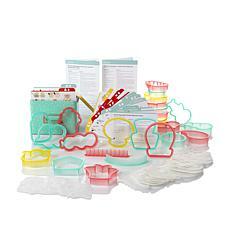 Bakeware sets and utensils are wonderful gift ideas for anyone just starting out. For established kitchens, a set of cute cookie cutters or a cake decorating set to embellish the appearance of baked treats may be all that's needed to create some fun, special desserts.